Microsoft has put the 2-D classic Mega Man on Xbox Live Arcade. The latest version, Mega Man 9, retains its retro look but adds 50 new enemies and bosses to battle. It adds over a dozen challenge levels and ranks you on the Xbox Live leaderboard ranking system. Mega Man 9 characters were developed by Keiji Inafune, the original character designer of Mega Man. The 8-bit look and feel will put you right back into the late 80’s. 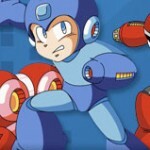 Microsoft is the latest gaming platform to release Mega Man 9, as it is already available for Playstation 3 and Wii. Mega Man, known as Rockman in Japan, was first published by Capcom in 1987 for Nintendo. Since then the game has been developed for Sega Genesis in 1994, Playstation in 1999, and GameCube, Xbox and Playstation 2 in 2004. Mega Man series games have also been adapted for PCs and cell phones. Mega Man 9 retails for 800 Microsoft Points on the Xbox Live system. Previous Previous post: New Blu-ray releases this week, lookin’ for a bargain?